Tell us a bit about your brewery… How long have you been brewing for? The brewery has been producing beer since 1992 when the range consisted of just a couple of beers. One of them is still available today (of course not from that first batch). We originally started out using an 8 barrel kit that was decommissioned (read as almost self destructed), prior to the move to a new 30 barrel site in 2010. Fate, if you believe in such things. Having moved to Tring in 1996 I approached the brewery as a potential client for a graphics/marketing business I still run with my wife. We worked on the brewery’s website and marketing activity and I slowly fell in love with the company and brewing process. A couple of years before the planned move to a new site, an opportunity to become second brewer arose. With the imminent need for a full time marketing person looming as well it was too good an offer to refuse….so I took up both positions. In a brewery you often do more than one job. Having brewed, sold, delivered and consumed the beer, I believe I am well positioned to promote it. As for home brewing, there was nothing more than nostalgic, often messy “experiments” with my dad and believe it or not, homebrew as a ‘domestic studies’ school project! It was a strong beer. I vaguely recall drinking a litre then falling out of the tree my friends and I had chosen as our location for “sampling”. I think most of the inspiration has been as a subliminal result of nurture and my environment. I’ve always been interested in tactile and sensory experiences as well as making stuff. My education had a creative and constructive bias. As far as food and drink go, my Dad dabbled in home brew and even grew his own pipe tobacco in the garden. My Mum and Gran both cooked great wholesome food that always sent the olfactory senses into overdrive. Externally, growing up and seeing someone like Keith Floyd rhapsodise over the aromas of some obscure chunk of cured meat whilst sloshing half a gallon of red wine down his throat, does wake you up to the magical effects good food and drink can have. Our 30bbl brewery is based just on the outskirts of Tring, a small market town nestled in the Chiltern Hills. The new location boasts a great shop that doubles as a base for our weekly brewery tours. It even has a proper bar with pumps for the tour nights. Being on a farm we are surrounded by a variety of animals, many of which feed on our spent grain and hops. The pigs make for great bacon. The ducks always sound like they are laughing. As brewers we all have our own little nuances and approaches to the brewing process. Some of these are purposeful, some superstitious, some driven by the equipment we work with. I can’t speak for other brewers but our focus is always on quality of ingredients. Consistency is always very important in this business. We have been working very closely with Charles Faram hop merchants and Ali Capper of Stocks Farm to promote UK hop varieties and support an industry that is often overlooked in sake of US and other overseas varieties. We are also very community focused, something that resulted in us winning Hertfordshire Small Business of the Year award in 2012. We use the BEERBOARDTM. It’s basically dartboard with all sections replaced by different beer colours and hop names. All numbers are replaced by abvs. Each month we randomly select member of staff, blindfold and connect them to a 6 pint Russian Imperial Stout beer bong. Still blindfolded, they are given 6 darts and pointed in the direction of the BEERBOARDTM. Often none of the darts go anywhere near the board in which case we look to produce a beer that meets a set of criteria in terms of having a new profile within the product line up and also complements seasonal trends and our core beers. For 2012/2013 we have limited our monthly specials to single hopped beers using established and experimental UK varieties. The offshoot of this was experimentations with other malt varieties which has ultimately provided us with more knowledge for future brews. Without wanting too sound dull, consistency, variety and accessibility. By the latter I mean producing beers that are not necessarily too challenging. The ease of access to new malts and hops make for a real playground when it comes to brewing and this has triggered the desire for some brewers to go down the route of producing the strongest, weakest, sweetest or most bitter beer. Beers in which one characteristic is extreme in its prominence. I compare this stance to eating at a curry house. Typically you go for a meal because you’re hungry yet some people like to challenge themselves with a chili laden Phall. Chances are that same person will end up sweating, sore and still hungry. Most people want something they can consume and enjoy…not something that is going to be a challenge. If we brewed the beers some of us here really like, we’d see a big drop in sales!!! Citra/Pacific Jade hopped black Ale anyone?? The beers that exist in our range represent what is popular across the regions we supply and across the huge customer demographic. We stand by our beer for all palates ethos. I do, but in moderation. Which of your beers is your favourite? That’s a hard question. Death or Glory (7.2% Barley Wine), Tea Kettle Stout (4.7%) or Moongazer (4.3% Citra and Chinook hopped) are my top three Tring beers. If I had to pick one it would be Death or Glory. It drinks well at a variety of temperatures, is great to cook with and comes in a 330ml bottle which I can tuck into my coat pocket for covert drinking operations! Have you had any outright disappointments or disasters? On two separate occasions I have forgotten to reset the cutting length on my beard trimmer and gouged a huge chunk of hair from my face. I often get disappointed when trying beers that don’t live up to the hyperbole that surrounds them and don’t get me started on drinking poorly kept/served beer in a breweries own taphouse!! No we are a miserable bunch! Actually we’ve never been asked, or indeed asked anyone else although we do have great working relationships with other breweries. The sharing of knowledge in these collaborations is a great thing and no doubt pushes the boundaries of what brewers might do on a day-to-day basis. On a slightly cynical note I do see it as a marketing activity designed to create a story about and elevate the importance of those involved. Yeah, I’m in marketing and am cynical about it!! I have great admiration for the team at Darkstar Brewery. In my view they have a very cohesive offering in terms of product range and branding. They are innovative without the ‘look at me’ attitude of some other breweries. There has always been something very “current” about Darkstar. Further a field Garret Oliver of Brooklyn Brewery would be on the list. Scientist, alchemist, commentator, showman and genuine lover of all we eat and drink. Finally I’d have to add Barry. He’s our head brewer. He taught me to brew. The best work related education ever. 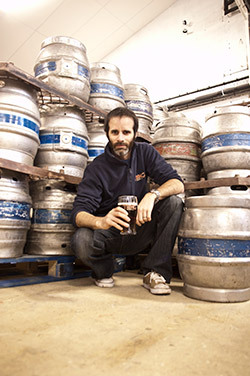 He works within very tight constraints but has continued to ensure the ongoing quality and consistency of all our beers. Odell 5 Barrel Pale Ale – aroma, colour, and just consistently great. I love their branding as well. A whole lot of beer tucked into 330ml. Sometime you don’t need a lot of liquid, just great flavour and aroma. These are both brutal if you drink too much though. Well my wife thinks I should get my hair cut. As far as the brewery goes we are embarking upon some staff initiated brewing projects These collaborative beers will see a definite departure in style for the brewery. Availability shall be limited to an 18bbl brew split into cask and bottle quantities. We’ve always stuck to the basic malt, hops, years and water formula but these new projects may well see some additions. If not then they are going to fall into two categories, hoppy as hell or dark as the night. I’d say its predominately driven by Founders, Fashionistas, Flavour Farmers. The Founders, those old stalwarts of the industry will adapt to survive either through a shift in product offering, how they market themselves or through whomever they might choose to acquire. There is still a market for more traditional style ales. I believe there are some fickle elements of the industry supported by fashionistas who think its cool to be consuming beer, be it because it comes from a “local” supplier, has targeted their demographic quite specifically, is aligned with a particular attitude or is perceived to be innovative in its actual flavour. To these individuals, the actual quality of the product is almost secondary. Then we get to Flavour Farmers, those innovative brewers out there whose passion is, above anything else, creating great beers. I do believe that marketing will have a diminishing impact on what we consume. People will find their beers themselves. I don’t believe you can label a major brand product as suddenly being a “craft beer”. Consumers will decide that and they will fall into two camps. Those who think they drink it, and those who know they drink it. Better served beer in ever evolving pub environments. More drinking at home. More beer in restaurants. Emerging home brewers and food networks. Cheese and beer parties. More breweries with onsite shops. They’ve both done some fine work in raising the profile of cask ale, craft beer, whatever you wish to call it. They have undoubtedly also upset some folks as well. It’s the inevitability of being an industry commentator/representative and let’s face it, no one else has stepped up to offer something else. Their perseverance in drumming up support of the ban on the beer duty escalator was admirable. We are currently in the process of working up our new pump clips. We have been working with a very skilled designer who has a background in applied colour physcology. Not only will these clips look far more coherent and striking they will also mess with your mind. That quick half will turn into a 3 pint “mini session”. 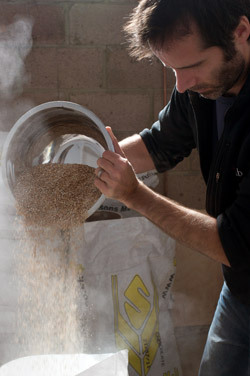 Head over to www.tringbrewery.co.uk and for the most current info sign up to our newsletter via the site. You can also win beer….finally got your attention! For all you mobile device folks the site will be rebuilt shortly to ensure you can be drinking a pint anywhere in the world whilst reading the latest from Tring Brewery. No worries. It was great to do. Just hope that people don’t start demanding that we actually instigate the BEERBOARD method for creating beers!! Personally I think you should consider it – at least for one new beer and see how it goes… The results could be very interesting! Yes, very interesting interview. 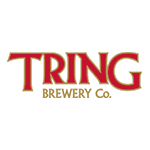 Tring is one of my favourite breweries; their commitment to English hops and drinkable beers are two of the reasons why, and these come across well in the interview.